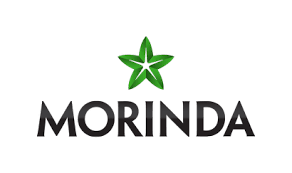 Morinda was once known as Tahitian Noni International, and began operating as a multi level marketing company in 1996. Morinda markets and sells via independent representatives various products within beverages, dietary supplements and personal care products. In today’s post, I am going to provide what I believe to be the top 20 products from Morinda. I am using a variety of sources to determine this including online and off line reviews, friends and family opinions and sales figures. I am in no way affiliated with Morinda. The information I am providing is for your benefit, so you can make a good choice if you would like to be a Morinda customer or distributor. Feel free to leave your opinions at the end of this post. Now, let’s look at Morinda: their top 20 products. I will start with #20 and work down to the #1 Morinda product. Calcium is an important part of maintaining healthy, and strong bones. This Morinda TruAge product provides the needed calcium our bodies require. 1 bottle comes with 120 calcium tablets, and the recommended dosage is 4 per day. This special formulation of all natural ingredients helps reverse aging on the skin. This gel repairs and moisturizes damaged skin, erasing age spots, wrinkles and other signs of aging on your skin’s surface. Just apply to hands, face and damaged skin areas twice per day. This one size fits all (most) beanie is stylish and keeps your head warm in cold weather. If you are a distributor, it is a great way to start a conversation about the Morinda products and business opportunity. Rapid Fuel is a protein supplement that helps build lean muscle. This mix gives you the fuel you need to defeat age and be intense. You just mix 1 scoop with a bottle of water. You will get the protein you need to be at optimum performance. This product does contain soy and ingredients derived from milk, but it is lactose free. This specially blended shampoo is safe for the whole family. It provides a healthier hair and creates a younger look. It contains Noni juice concentrate, Carnosine which is an anti-oxidant and the TruAge Max blend. It is safe enough to use daily. We live in an age where diabetes is running rampant. The reason is sugar and sugars everywhere and in everything. This product is designed to flush certain sugars and starches that will turn into sugar from your body before they are absorbed. It comes in a delicious carrot/mango flavor, and it is recommended that you mix 1 scoop with 10 ounces of water, and drink it with your biggest meal of the day. This bottle of 90 tablets fulfills your daily vitamin needs. Adding all the essential vitamins, the plus means it also has a vegetable blend, mushroom blend, green blend and fruit blend. So, for all those healthy items you are skipping at meals, you will get them by taking 3 tablets per day. These fruity chews have a huge supply of the healthy properties of the Tahitian Noni, which is the product Morinda began with. If you desire a snack, but want it to be healthy, just pop several Tahitian Noni Fruit Chews. Using the power packed Noni fruit juice blended with other natural juices makes this drink a perfect heart healthy beverage. This drink has many vitamins and minerals, and it has a black currant flavor. It is loved by many who want healthy hearts. This concentrated blend of Noni juice, grape juice and blueberry juice also has glucosamine which supports joint health. Just an 8 milliliter dose will help your joints work properly. There are 30 doses per container, and it must be refrigerated after opening. This kit creates the opportunity for great workouts. Drink your Noni beverages and get a great workout at the same time. This amazing essential oil is made strictly from Noni seeds. It actually takes approximately 50,000 Noni seeds to make one ounce of this oil. It is a great skin moisturizer, and absorbs well into your skin. And, it works as a great conditioner. There are many energy drinks on the market, but Hiro energy has the power of Noni, along Guarana for energy and B Vitamins. This drink is low in sugars and will provide the boost of energy without the bad effects other energy drinks leave. This gentle creme will clear up cracked and damaged skin areas. The wonderful aroma will also soothe your soul. It is a blend of Noni seed oil and Tiare flower that leaves you feeling as if you are in body butter heaven. This is a soothing gel that is great on the skin. Made from the Noni leaf, this serum is similar to Aloe Vera. It does wonders with the skin, and it is loved by many. This cream has a huge clientele of primarily middle aged females.It is that time in life where youngness is leaving, and the woman dearly wants it back. This body balance cream provides that wonderful feeling of young skin with Noni seed oil and Noni juice, along with other natural ingredients and Vitamin E.
This wonderful oatmeal soap is a great exfoliate, and it can be used by the whole family. It contains Noni juice and oatmeal. A great soap to be used for anything. This drink is a huge seller from Morinda. Daily doses of TruAge Max maintains a healthy blood circulation and blood vessels along with more. The recommended dose is 1 ounce twice per day. This product helps to boost energy and build immunity so that you can live life to its fullest. Just a small amount each day will help you live a more enjoyable life. This is the original substance used to manufacture the #1 product below. It is known for to help people’s overall health. This is the product Morinda was built on, and it is still their #1 product. Many clinical studies have shown that this wonderful beverage can lead to a healthy and less stressful life. Drink 1 ounce of it twice per day, and life will be much better. While some claim it is expensive, many others have said how much this small amount of Noni juice has helped their health and well-being. So, there you have what I believe to be the top 20 Morinda products. Do you agree with my findings? Tell us what your favorite Morinda products are, and why? If you believe you would like to try Morinda products, or possibly become a Morinda distributor, I suggest you visit their corporate website. You can find it in the reference section below. Disclaimer: Neither I nor the Online MLM Company is affiliated in any way or form with Morinda. This is not a paid review. It is written strictly for your information. Morinda is a registered trademark. Individual results will vary.